The new preschool year has started and with only a year left until primary school I’m keen to try and encourage the boy to channel his incredibly strong will and apply it to reading and learning. 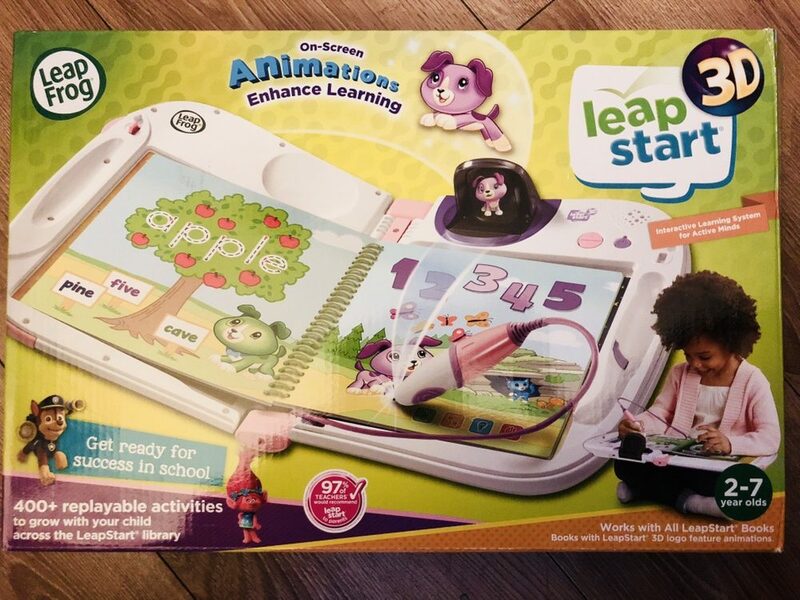 I mean I’m not going all strict and pushy parent on him – I mean I’m looking to find ways to encourage learning through play, like with the Leapfrog Leapstart 3D. Everyone has electronic devices and tablets seem to be seen as a controversial learning tool for young children – I can totally see that leaving them attached to them for long periods of time is not healthy however they are a useful tool in regards to education. The boy is four this year and I know other children his age have their own tablets – the boy uses an old iPad but for his birthday this year I wanted to find something suitable for his age that will encourage him on his learning journey. 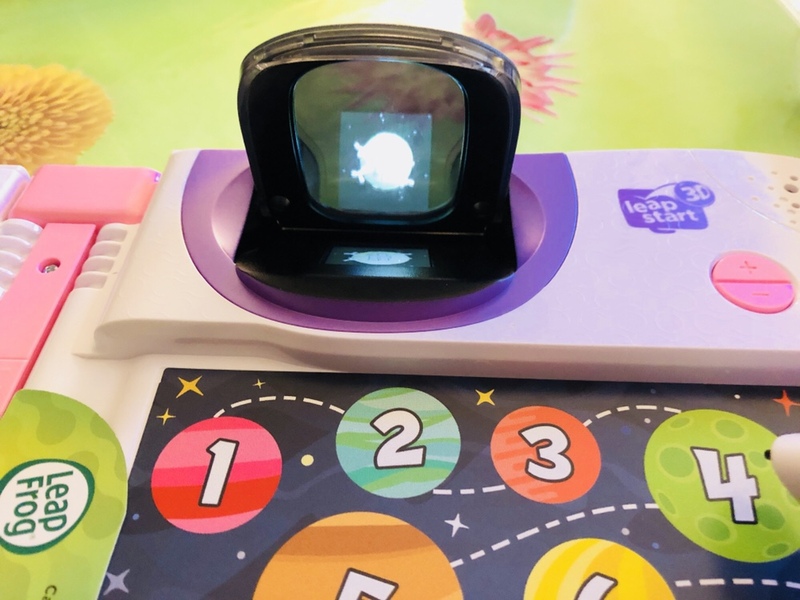 LeapFrog have been at the forefront of interactive electronic devices for children for years and the most recent product on the market is the LeapStart 3D, which is aimed at 2-7 year olds and is an all-in-one interactive learning system for active little minds. The 3D model is an upgraded version of the original LeapStart, the difference being that the 3D has a little screen that plays cool little animations depending on what you interact with. The 3D is also a little big and has a folding handle. 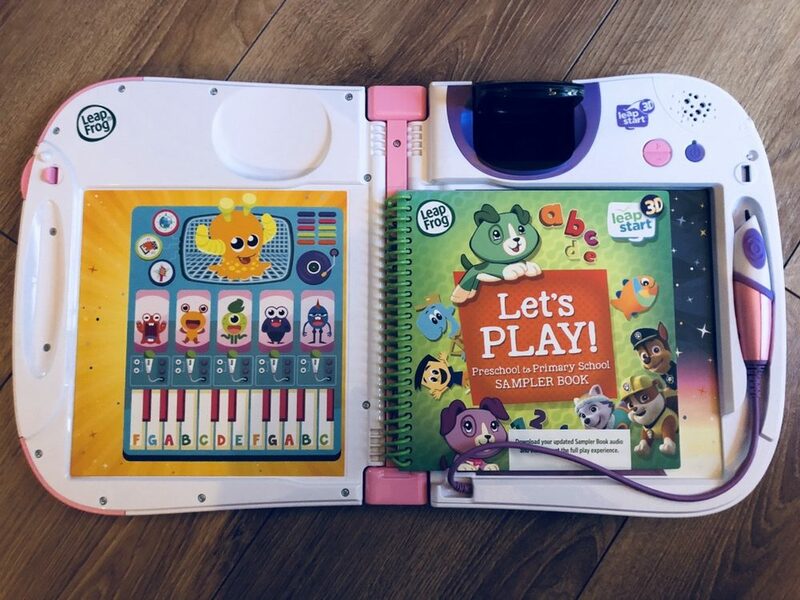 You buy books separately to work with the LeapStart 3D, which feature stories from favourite TV characters such as Mickey Mouse, Paw Patrol, PJ Masks and Peppa Pig – there are over 25 to choose from. 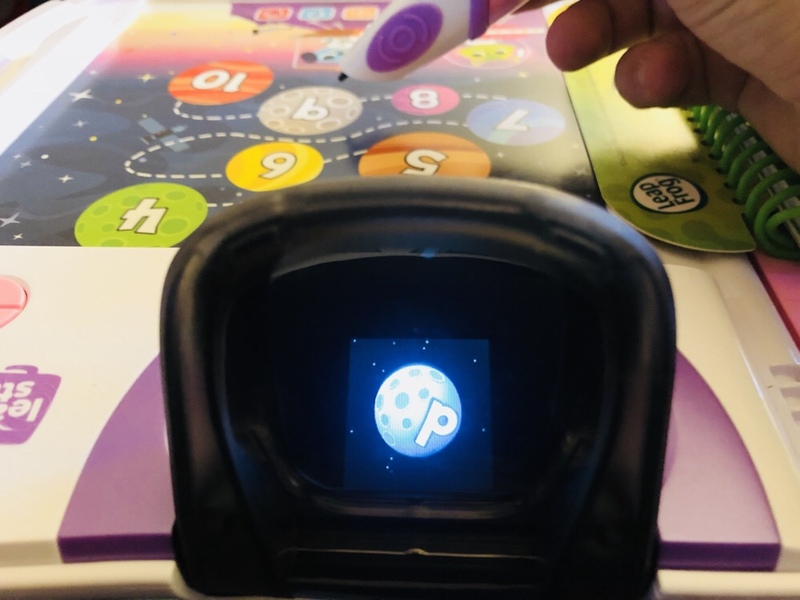 It’s a really simple concept – the LeapStart is a case with a stylus and the books clip inside; you then use the stylus to follow the instructions and interact with the book. The activities are graded one to three; covering skills from preschool to primary school. 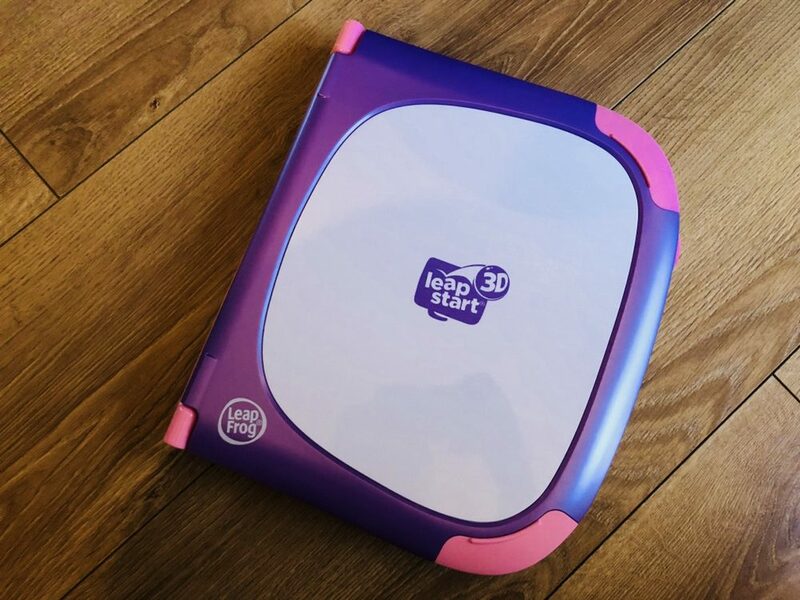 The Leapfrog LeapStart 3D requires 2 AA batteries and comes with a USB lead, you do need to update in on a PC before the first use but the process takes next to no time. It’s made of plastic but feels robust and is tough enough to withstand a little heavy handiness from little ones. The stylus is chunky and perfect for little hands – the nib isn’t sharp and the cord is short so it’s perfectly safe. It comes in two colours – green and pink, and retails at £49.99(price correct as of September 2018). It was difficult to test as I’m keeping it for the little man’s birthday in November, however our best buddies over at Whinge Whinge Wine let us have a play and showed us how it worked. The books and animations are bright and fun; the voices are funny and it’s really entertaining for little ones. I like how it encourages them to hold a pen and concentrate on the activities; it also encourages and helps them and it’s really simple to use. Batteries don’t come included which is always annoying with kids toys – it also only comes with a sample book meaning you will end up spending more money on more books. The non-3D books cost around £10 and the 3D ones cost around £15 – it can become costly however you will find more than enough to do if you only have a couple of books. Overall it’s a cool product and I can’t wait to surprise the boy with it on his birthday! Fab prize, my youngest two would love this! I would love to win for my daughter. She would love it. This looks fantastic for little ones! I know my son would love it!